Heart and Soul is a great Spring Party Fundraiser and a special fun night out! The Glorious MUDsingers are also likely to burst into song at any time! 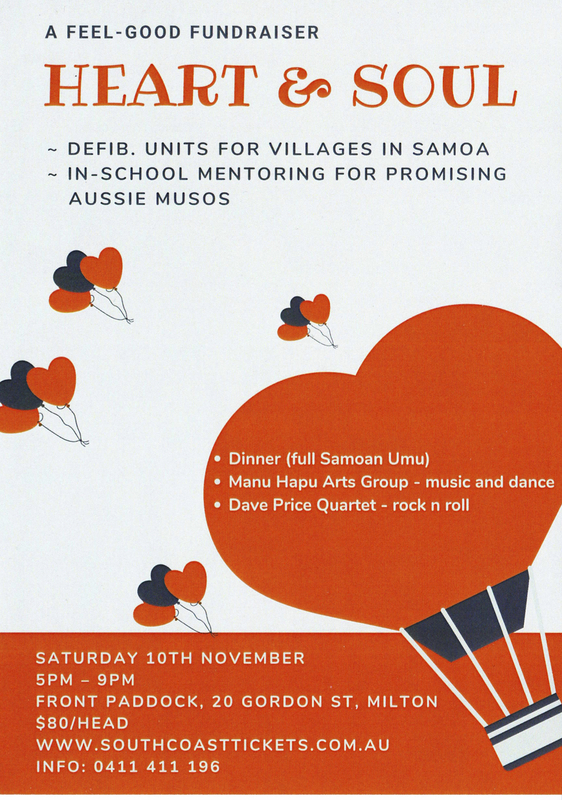 Heart and Soul is a fundraising event with half the money raised going to defibrillators to Samoan villages in need, and 50% to the SongMakers schools project to help develop Australia’s regional young musicians. Contact:- 0411 411 196 for more information!